In geo-politics, few terms come across more hopeless than state-failure. This is because state-failure is not one problem, but a petri-dish of problems resulting in the complete collapse of a nation state. Akin to the human body, a nation state is a package of highly complex systems coordinating with each other; each system dependent on the last in order to ensure survival. This is perhaps why state-failure feels so hopeless, it is the political equivalent of death. When the complex web of society falls apart, the nation state flat lines. However, unlike the human body nation states can be resurrected. The text-book example of a failed state today is Somalia, where for two decades the country has functioned without a centralized government able to exercise sovereignty over its borders. Indeed the state, as we recognize a state, is dead. The struggling government of Somalia – the TFG – controls only the central area of the country while the South remains the jurisdiction of the violent extremist group Al-Shabaab. 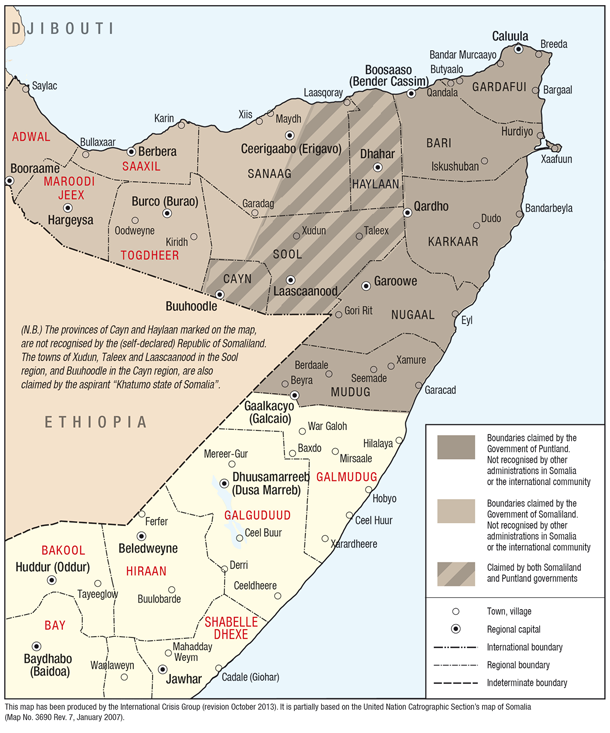 Huge swaths of land in Northern Somalia, namely Puntland and Somaliland, have either declared independence (Somaliland) or act in a semi-autonomous nature (Puntland). Somalia has not existed as a unified nation since 1991 when clan based factions overthrew the president of Somalia, General Siad Barre. Due to the inability of the different clans to reach a consensus regarding next steps after the coup, the country’s economic and political structure fell apart. Two decades of sporadic fighting have followed with few options remaining on how to ‘fix’ Somalia. How then can Somalia be brought back to life? In the same way a state is an interdependent web of institutions and apparatuses, a nation can be repaired by building each system in conjunction with the other. Focusing on a single aspect of what makes a state, for example only the economy, will not work in the case of overall development. Policy makers working to rebuild Somalia, whether local or as members of the international community, must therefore develop a coherent strategy that fixes economic, security, social and political issues in a co-ordinated fashion. Working towards only one of the for-mentioned categories is doomed to fail, as factors present in other categories will negate any progress. Economic development is often at the forefront of nation building. The economy is viewed as the foundation for any successful country, as poverty is often viewed as the key to many problems in underdeveloped nations. Of course Somalia is no exception. The country lays in economic ruin, with 70% unemployment and an average national income of less than $2 a day. In order to fix the economy of Somalia, focus is often on the development of the private sector. Strategies such as micro-financing hope to build a functioning business class from the grassroots. The hope is micro-financing could decrease unemployment and increase overall welfare. Economic development, however, is not enough. This is because headway made by stimulating a private sector could be negated by the prevalence of violence and lawlessness in the country. Terror groups like Al-Shabaab make it difficult for successful businesses to function in a region where insurgency and terror attacks pose an everyday threat. The absence of a functioning judicial system makes property enforcement the responsibility of the individual, which perpetuates violence through vigilante justice. The negative cycle continues, however, as a lack of economic opportunity leads to piracy. Somalia earning the reputation as the haven for modern piracy leaves it unattractive to FDI, essentially isolating it from the world economy. The violence seen in the region, however, can also find its roots in the clan warfare that has been a part of Somali society for generations. The original breakdown of the country in the early 90’s was directly the result of warring clans attempting to gain power over one-another. The four largest clans are the Darod and Ishaak to the North and Hawiya and Rahanwein to the South. After the overthrow of President Barre, Somalia witnessed two decades of the continuation of this clan warfare until the foreign intervention of Ethiopia brought marginal stability to the destroyed state. Along with clan tension also comes religious tension. Radical Isalmist ideology made its way into Somalia in the late 90’s adding yet another dimension to an already complex ethnic dilemma. Instead of simply fighting for ethnic purposes, groups like Al-Shabaab – as did their predecessor the UIC - fight for control over the majority Islamic population of Somalia conducting brutal atrocities in the process. The mix of both ethnic and religious warfare polarize Somali society, creating mistrust and entrenched hostility. In a climate where feuds go back generations, or to one’s own religion, the possibility of forming an effective democratic government diminishes. Entrenched hostilities towards another ethnic group or religious faction make it unlikely cooperation can occur at a higher level between the leaders of these factions. The lack of political order then cycles back into the other issues mentioned previously. A lack of centralized government means it is difficult to enforce or even draft property law. Police and other state security apparatuses either do not exist or are ineffective. In essence political order is both the cause and result of the other disfunctioning aspects of Somalia. While a complete plan for the development of Somalia cannot be accomplished in one article, there is a general strategy that can be pointed to as all encompassing. Instead of attempting to group all the factions into a single political economic and social framework, partition could stand to be the optimal solution. The complex systems necessary for a stat ecould be re-built but at a smaller level. 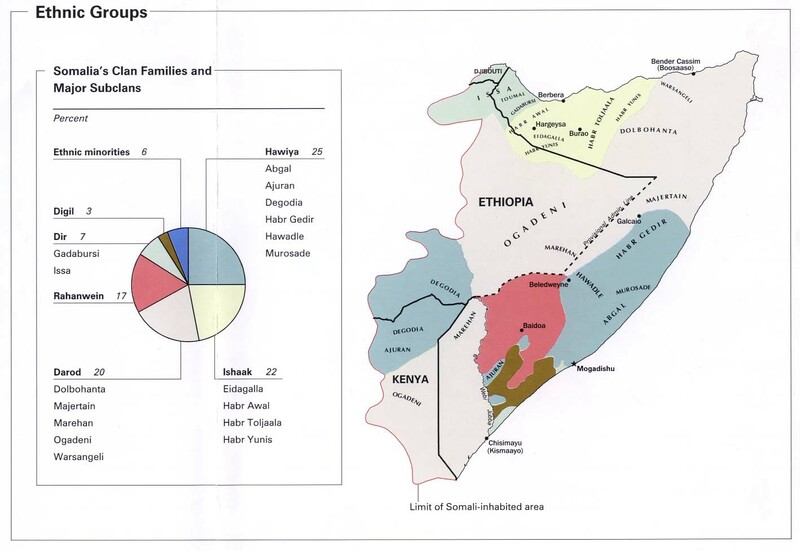 Moreover, there is already a model from which to base partition off of within Somalia. The two autonomous regions to the North, Somaliland and Puntland, are effectively sovereign nations yet to be recognized by the international community. Moreover, Somaliland and Puntland have both demonstrated the ability to conduct state functions such as issue currency, collect taxes and protect its citizenry. While Somalia as a whole is a failed-state, it has functioning appendages in the form of Somaliland and Puntland. These circumstances should be capitalized on by the international community, recognizing Puntland and Somaliland as independent states and attempting to replicate the formula throughout the rest of Somalia. It should be mentioned that the solution of partition carries with it a battery of issues. First and foremost, the autonomous region of Puntland does not view itself as separate from Somalia but as the building block of a new unified Somali Federation. If partition is to work, Puntland’s government must shift its perspective from the entirety of Somalia to the stability of only Puntland. There also remains hostility between Puntland and Somaliland over disputed borders. This is where the African Union and international community at large can play a role, acting as mediators in establishing the borders of the two infant nations. Finally, creating new states to the south outside of the already established Puntland and Somaliland could prove difficult. Getting the TFG to cede their ambition to govern the entirety of Somalia may prove impossible. There is also the ever present threat of Al-Shabaab which must be eradicated if partition is to work in the Southern most region of Somalia. However even in the South partition still appears to be the best option. Establishing temporary cooperation between the clans in the South in order to conduct border negotiations and population exchanges could be more feasible than establishing the long term cooperation required for a democratic state. In sum, there will be many problems with any solution for Somalia’s plight; this is the nature of a complex issue. How Somalia will eventually be repaired, if at all, remains a matter of speculation. Solutions like partition may be seen as radical, but radical change from the ongoing situation in the country may be necessary for the welfare of the people who live there. With all the uncertainty in the country, one fact remains. There is still hope for Somalia. Jesse Comeau is a fourth year honors student at Carleton University studying Public Affairs and Policy Management, specializing in International Studies. His time at Carleton University exposed him to various international aid and poverty alleviation strategies. Striving for solutions for the world’s most ‘unsolvable’ issues has been the driving force behind his academic career. Email: jessecomeau@cmail.carleton.ca; Twitter: @jessecomeau. When I first began working on Sudan in 2008, the Comprehensive Peace Agreement (CPA) had been in place for three years. At that time, the international community still considered a unified and peaceful Sudan to be a possibility, one, which was for many, preferable to Southern independence. I think it was clear then, as it was during the 2011 referendum, that a vote for an independent South Sudan would mark the emergence of one of the world’s most fragile and undeveloped countries, severely stunted by years of conflict. South Sudan’s anticipated fragility is well captured by the work of Paul Collier and Anke Hoeffler, which suggests that 40% of post conflict countries experience renewed conflict within a decade of establishing peace. Beyond those staggering odds, South Sudan embodies a number, if not all, of the characteristics thought to contribute to internal strife. It is landlocked, resource-rich, and impoverished, with a weak state and ethnic tension to boot. By any theory, South Sudan was a likely candidate for conflict within its new state. The presence of arms, recent history of violence, and lack of livelihood and education opportunities would only make it easier for the country to slip into war. In many ways South Sudan was born a country with much to prove, refusing to be bullied by its Northern neighbour. This was perhaps demonstrated most fervently when the country ceased oil production less than a year after independence, a decision that most observers thought would cripple its fledgling economy entirely. Yet despite this drastic move, South Sudan continued to function with some degree of normalcy and again, surprised us with its propensity for survival; in turn instilling a false sense of confidence that South Sudan would continue to beat its odds. While surviving some early challenges, South Sudan’s fragility quickly became apparent. In 2012, the Fragile States Index initially ranked South Sudan as the 4th most failed state in the world. With South Sudan lapsing into widespread conflict last December, the Index has moved it to number one, breaking Somalia’s six-year streak as the world’s most fragile state. Within months, the conflict has displaced over a million people (roughly 10% of the population), exposing women to terrible acts of sexual violence and threatening famine across parts of the country. The ongoing conflict in South Sudan has forced the international community to reflect on its investments, and to consider whether, knowing what we know about fragile and post-conflict states, we could have given South Sudan a better chance of establishing itself as a stable country, ready for development. Although the international community had supported South Sudan to establish basic governance structures and institutions following the signing of the CPA, these institutions were not strong enough to become the foundation for an independent and democratic South Sudan in 2011. While it may have tested the patience of the South Sudanese to delay independence, more time was required to build the institutional capacity necessary to manage executive power and political contestation. Beyond the 2010 Presidential elections (which maintained Omar al-Bashir as President of Sudan, and elected Salva Kiir as president of the Government of South Sudan) and the 2011 referendum, South Sudan has little experience with democratic processes and culture. Perhaps the most undemocratic of all South Sudanese institutions is the Sudan People’s Liberation Army (SPLA), which continues to require intensive reform. After the CPA was signed, the SPLA (previously a rebel army itself) attempted to assimilate other ethnic militias into its fold, creating a largely unprofessional army with skewed ethnic make-up and strong alliances to individual commanders rather than the state, all factors which contributed to the initial fighting on December 15, 2013. This same lack of reform and professionalism is certainly also a reason why, in a war against anti-government forces, the SPLA has repeatedly carried out human rights violations against civilians, as have rebel forces. Another issue that has come to the fore in light of the current conflict has been the need for national reconciliation. Looking back, disregard for this issue was a key oversight. While the international community was helping to build a new state and government, and striving to provide basic services post-war, it neglected the human dimension and the long memory of crimes committed during the Sudan civil war. The reality is that the civil war was far more complicated than simply South fighting North, and that throughout the war and the CPA period southerners at different times carried out attacks on one another. These conflict dynamics are further complicated by a culture of cattle and dowries, inciting violent cattle raids and retaliation between tribes. Without reconciliation, South Sudan would struggle to establish a new national identity outside of Juba, with tribal identities easily co-opted by political figures and manipulated for their own aims. The current conflict in South Sudan can cause us to wonder whether independence was really best for the people of southern Sudan. I think to the early days of the CPA when the mantra was "make unity attractive" and wonder whether life would be different for the South Sudanese had that aim succeeded. But the reality is that a people sharing a common identity demanded their right to sovereignty, to self govern, and that this demand was further justified as a provision of the CPA. To challenge that right would bring the credibility of our fundamental democratic values into question and as such, serves us little good. Instead, there is something to be learned from the experience of South Sudan about statebuilding post-conflict, with key lessons being the need to focus on institutional capacity building, security sector reform, and reconciliation in supporting stabilization, and moving towards democratization.